The recently re-branded and newly launched GWU School of Public Health and Health Services at The George Washington University has been renamed the Milken Institute School of Public Health in recognition of record-breaking contributions from several sources, including the Milken Family Foundation. 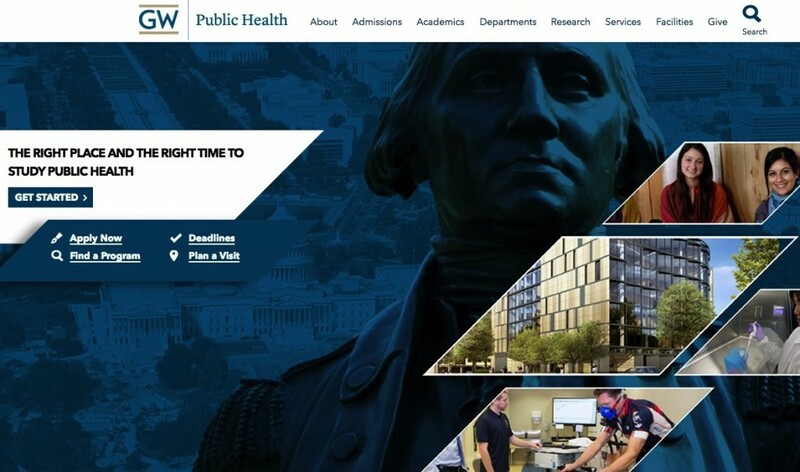 Long recognized as an industry leader in the public health field, the former GWU School of Public Health launched its new website this past summer aiming to better its digital experience for students and alumni, alike. To learn more on the newly minted Milken Institute School of Public Health, visit The Washington Post’s article regarding the record-setting donations for GWU. The Web Development Group – Washington, DC’s premier full-service digital agency– specializes in building exceptional user experiences powered by open source technology. Contact us to learn more about WDG and how we can help you strengthen your digital presence.